Each company will present a a 10-minute firework display, choreographed to music, followed by a finale by organisers MLE Pyrotechnics. 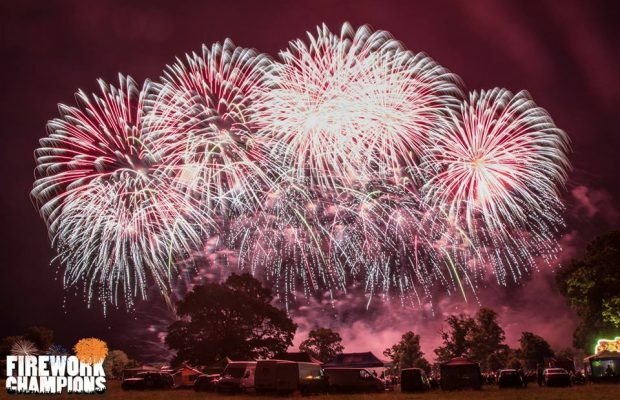 The firework specialists will all use category 4 fireworks – for professional use only – and the biggest available in the UK. Gates open for entry, music 5:00pm, time to picnic or just grab a spot and relax. or call 01327 876 037): Adults £19.00, Children £9.00, Camping £10.00 per adult, Gazebo permit £25.00 (booking fee £1.50). Gate price: Adults £21.00, Children £11.00, Camping £10.00 per adult, Gazebo permit £25.00. Next Story → Get set for Pride this Sunday!